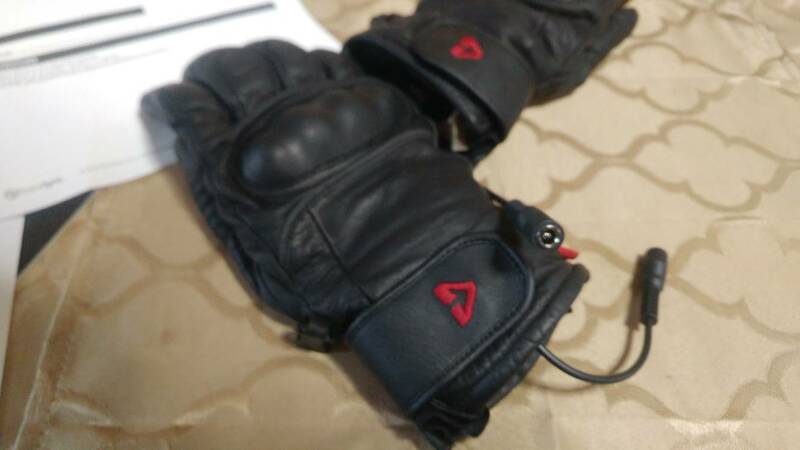 I bought a pair of Gerbing Hero heated gloves from their own booth at the December 2017 Progressive Motorcycle show in New York. December 2018 I went back to using them only to find that only one glove was working then neither one would work anymore. They may have been both working at first I really don't remember exactly. I thought it was the junior controller which I bought at the same time with the gloves and mysteriously didn't have "Gerbing" marked anywhere on it like some Chinese generic one they were selling to make more profit at the show. That controller was starting to malfunction not allowing me to change settings. So I got a new controller branded by Gerbing. I soaked the contacts on the gloves with vinger for a while and then soaked them with WD-40 electrical contact cleaner. The connectors were made to go face up by placing a bottle on the wire. (The contacts would just twist themselves to the side otherwise.) The glove contacts looked pretty good inside and then I used a kitchen knife to spread the pin a little to maximize contact with the female ends from the junior controller. Thanks to those who posted that advice on this forum. However I still have cold gloves. Definitely not worth their $179 price plus $50 for the junior controller. I just bought a set of Gerbing glove liners on Ebay for $36 dollars just to see if it was the new controller that might be bad but those liners work. I wanted to buy from another company but there weren't many options for liners. I've read other forums and some people were saying Gerbing isn't the same company it was with different ownership and quality since it was sold and pointing people to "Gordon's heated" instead. I found a website linked from Gerbing's website for diagnosis and repairs: "heatedclothingrx" but don't know anyone that's dealt with them before. My gloves only have a 90 warranty I believe. I'm about to contact them to try to salvage my investment in these gloves but I wouldn't buy Gerbing again. Anything else I should try? Who's had the same experience? What could be the issue with the gloves? They worked fine for 2017-2018 until December. Last edited by Jake Wheelie; 01-26-2019 at 08:44 PM. 1) Bypass the temp controller and plug each glove directly into bike. If they both work this way it is with your Y connector. Next determine the connector on the Y that is not working. 2) If it is a connector issue very carefully split the inner connector inside the female connector with a small flat blade screw driver to improve contact. DON'T split too much or it will break. 3) If it breaks or you have not other recourse, cut off the connector and test with the bare wires. If they work, solder on a new connector. 4) Open up seam and check connections inside the glove. With heated gear there is an 80-90% chance it is related to the Coax connector plugs. In particular the female ones and splitting the centre pin for better contact. All brands of heated gear use the same connector and it is the primary source of problems. Almost every year I experience issues with the plug off the bike that attaches to the battery and have to replace it and or split it further. Electrical contact cleaning solvent works OK but anything that leaves an oily film or residue will over time make the connection worse. Do not use vinegar or WD-40. Any brand of electrical tether on the bike will work. As mentioned the plugs are identical with almost all brands and made by some factory in china. If a connector gets even slightly warm while the gloves are on Full, there is a problem with it. Last edited by twowheels; 01-26-2019 at 10:26 PM. Thanks so much. I'll try today. The Versys has a brand new wire that was installed back in mid-December and they never worked hooked up to it but I'll connect the gloves directly to both bikes anyway to see. The Burgman has the wire from last year plus an extension wire I added later on. The liners came with another wire. I'll let you know how it goes. Yep. Gerbings is cheap Chinese junk these days. Gordons is the way to go for quality. I have tourmaster heated gloves that are OK for the most part. The thumbs don't heat up enough but if I pair them with heated grips I can ride all day in the low 40s. Just curious how the OP made out with their issue. Hope you can give us an update. 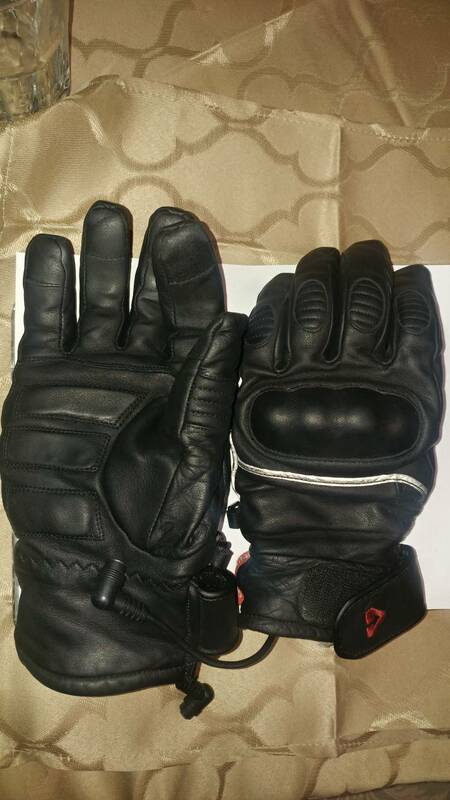 I sent them in already to heatedclothingrx and they sent me confirmation that they got the gloves. I'm still waiting on them to see what the diagnosis is but I was told they'd honor the warranty although when I contacted them, I was already a month out of warranty. Nice of them. I was told it might be the wire coming out of the glove itself that needs replacing. Before shipping them out, I plugged in the gloves directly into the battery and neither heated up. Before that I used electronic cleaner by WD-40 and positioned the connectors so the liquid sat in the connector for a while to soak and also used a knife to pry open the notch in the connector. I also got another junior controller to test the gloves. When all that did nothing, I contacted heatedclothingrx , because they handle Gerbing's warranty. I'd never buy Gerbing again but am glad that I can have them repaired. I got a set of Gerbing heated glove liners that are working for now until they too while stop working. I'd put money that they'll stop working next year. Yeah, I know but they were only $36 with free shipping on Ebay. As soon as they get back to me I'll let you know what they did to the gloves and I'll test them right away. Can anyone recommend an upgrade that would also have knuckle protectors? Price wouldn't be an issue but reliability is. Last edited by Jake Wheelie; 02-21-2019 at 11:50 AM. I just got the gloves back and the work order says "replaced glove plugs." I'm going to test them out now. Have to head out to run some errands. You can see the shiny new silver connector in the photo although the resolution is crapy. Sorry about that. All right. They work well. Only thing is when I first put them on I could feel the new wire inside the glove but after taking them on and off a few times it's ok now. All that matters is that they work.